More granola! What can I say? 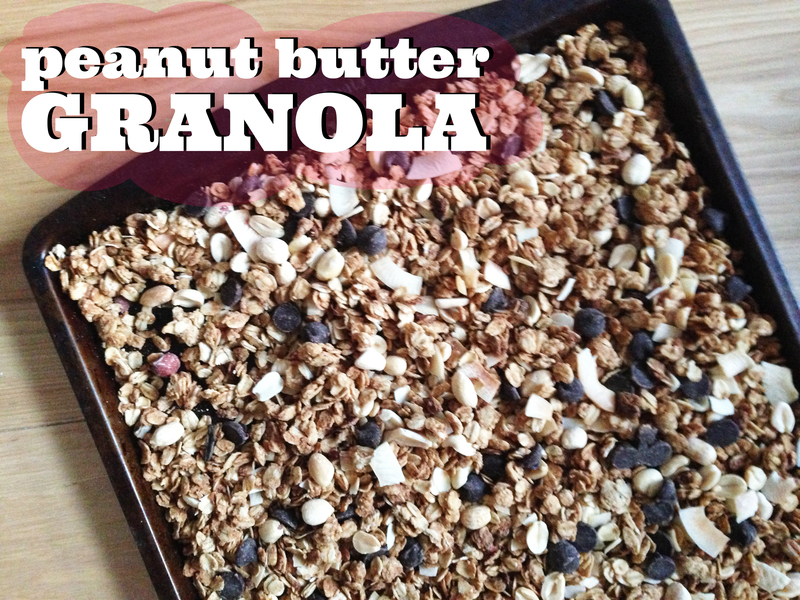 I’m on a granola kick! This one is adapted from shutterbean’s recipe, found here. In a large bowl, toss oats, walnuts, almonds, cinnamon and brown sugar together and set aside. In a small bowl mash bananas and stir in maple syrup & olive oil until thoroughly mixed. Pour wet mixture over the oat-nut mixture and stir until oats are well saturated. Spread the oats on a parchment lined baking sheet and cook for 30 minutes, stirring mixture every 10 minutes until oats are nice & golden. 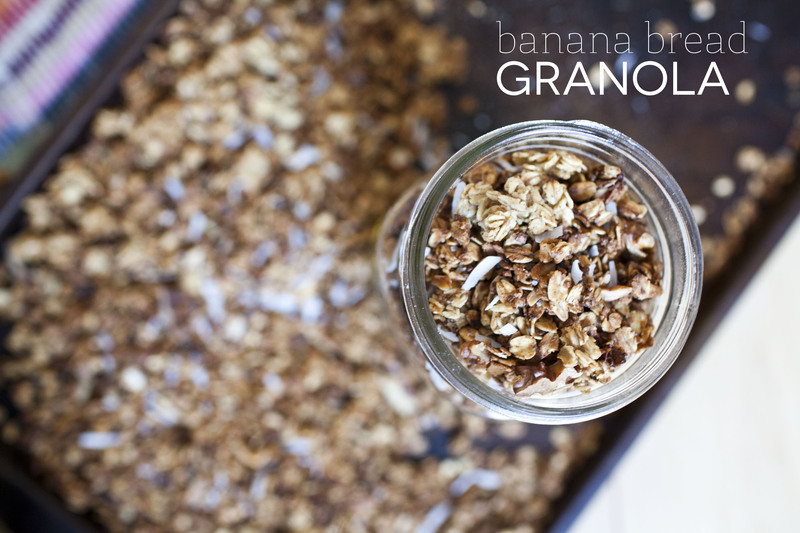 Let granola cool and transfer to an airtight container. Another great creation that milo’s friend and I made last week when she was over. This was totally her idea. 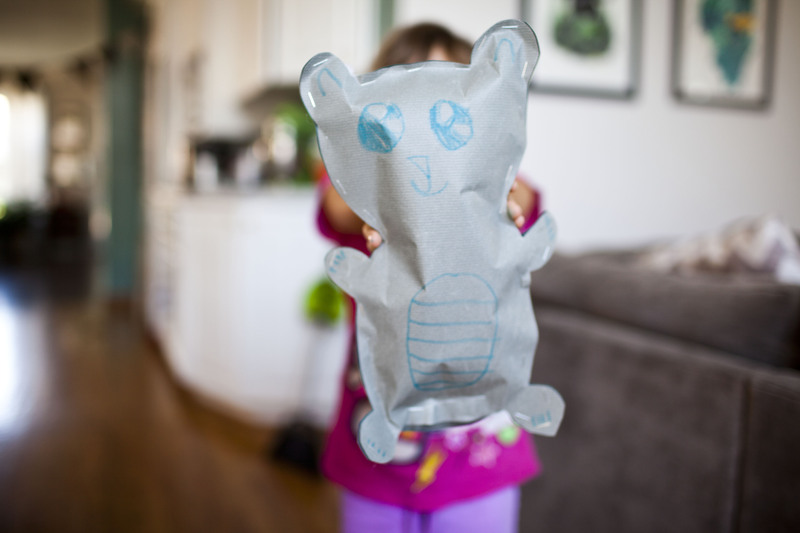 You can make a stuffed animal out of paper, who knew?! With a little assistance from an adult, its super fun for kids and it turned out really great. She made a teddy bear! Trace your animal on two sheets of paper and cut. Draw a face or decorate to your liking one of the shapes. Staple the edges closed, leaving a small space to fill with stuffing. Fill with stuffing and staple clothes. 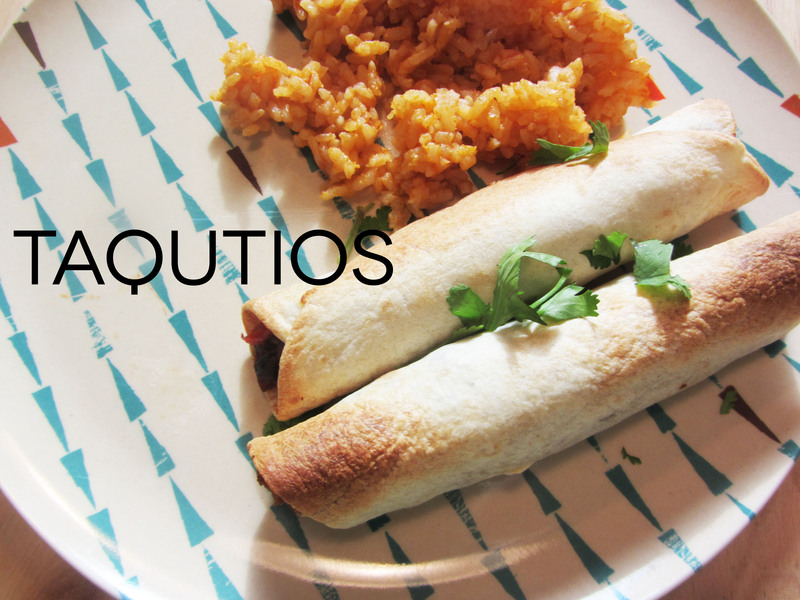 Taquitos! These are one of my family’s favorite things that I make so I figure its about time I document it. Preheat your oven to 400 degrees. Prepare a 9×13 pan. Saute your seitan; when it starts to get warm, add all the rest of the ingredients, except for the vegan cheese. mix well and cook for a few more minutes until the vegan cream cheese is all melted. Warm your tortillas and line each tortilla with some vegan cheese; Place a heaping tablespoon full or so of the filling. Roll tightly and put into the pan. Continue until you run out of filling. you dont want to fill them too full because you want to be able to make sure to roll them nice and tight. Bake for 12-15 minutes, flip and bake for about 5 minutes more until crispy. Top with guacomole, vegan sour cream and more of that delicious trader joes salsa! We looked after milo’s friend and his big sister on sunday for a bit – so I wanted to get some crafting in to keep her occupied. I showed her my pinterest boards and asked her to find something that looked fun – she loved the idea of making her own plushie, and decided that this is the one we would make. We made ours out of felt, printed and cut all the pieces and sewed away. She was big help with cutting and trimming, while I did all the major sewing. 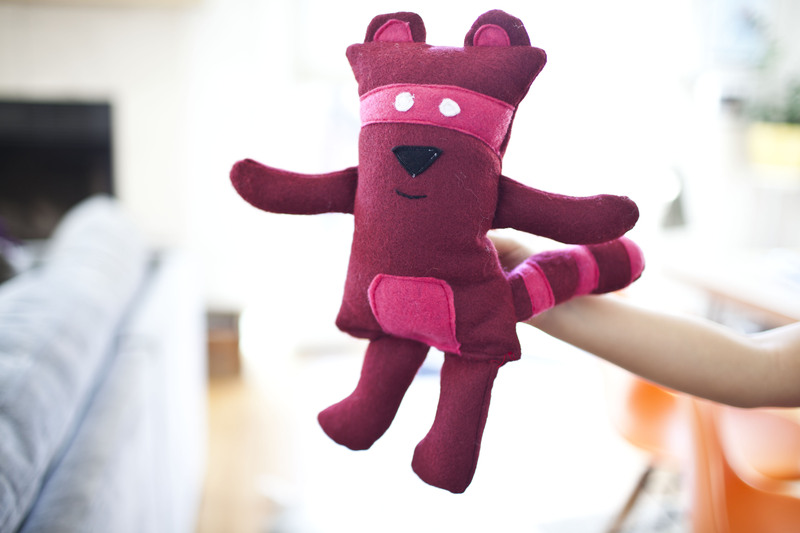 She was so tickled with her pink raccoon and couldn’t believe we made our own stuffed animal! It took us a little less than two hours start to finish. I think hes rather cute, don’t you?! Pattern and instructions found here. Oh, this recipe had me at peanut butter. And it only had a few ingredients, all of which I had on hand AND came together quickly. SOLD. This granola tastes like a deconstructed granola bar. I added chocolate chips, unsalted peanuts and toasted coconut chips. I think banana chips would be so good too! This makes a terrific (watch out, im addicted) snack. I can’t get enough of it! In a large mixing bowl combine oats and sugar. Warm peanut butter, oil, and maple syrup or agave in a small skillet or saucepan until thoroughly combined and pourable. Pour over oats and quickly toss/stir to combine. Spread evenly on a large baking sheet and bake for 18-22 minutes, or until evenly golden brown. Watch closely as it tends to brown quickly near the end. IMPORTANT: Toss once around the 15-minute mark to ensure even baking. Remove from oven, toss gently to release heat and let cool completely on the pan. Transfer to mixing bowl or storage container and add chocolate chips, coconut and peanuts (banana chips too maybe?!) and stir or shake.